Welcome to 1850 Village South Road #428. The best views in all of Squaw Valley! 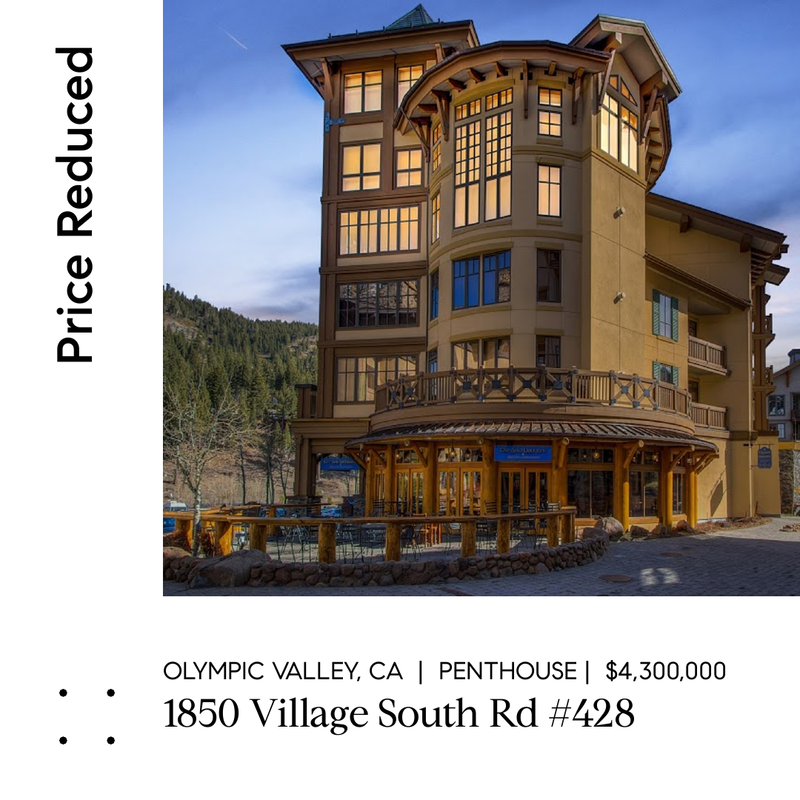 This stunning 2-story, 3,000 sf, 4 bedroom, 4.5 bathroom penthouse in The Village at Squaw Valley boasts 180 degree panoramic views of Tram Rock, KT and Shirley Canyon. Exceptional stone masonry combined with rich hardwood flooring and wrought iron touches makes this a truly custom slope-side residence. One of only 3 penthouse units built. State-of-the-art Lutron lighting, push-button retractable window coverings and draperies, steam showers and mosaic tile artistry.